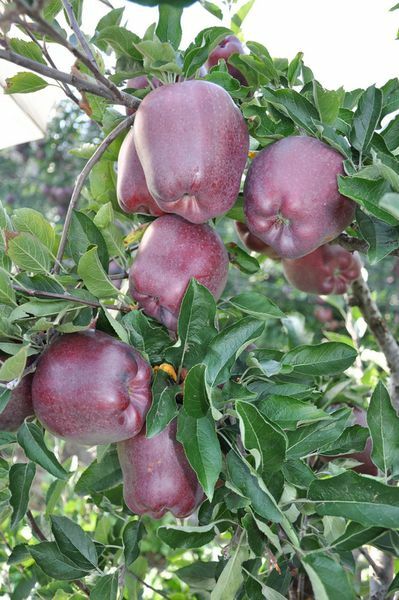 KING® ROAT Red Delicious* is a branch mutation of Hapke. 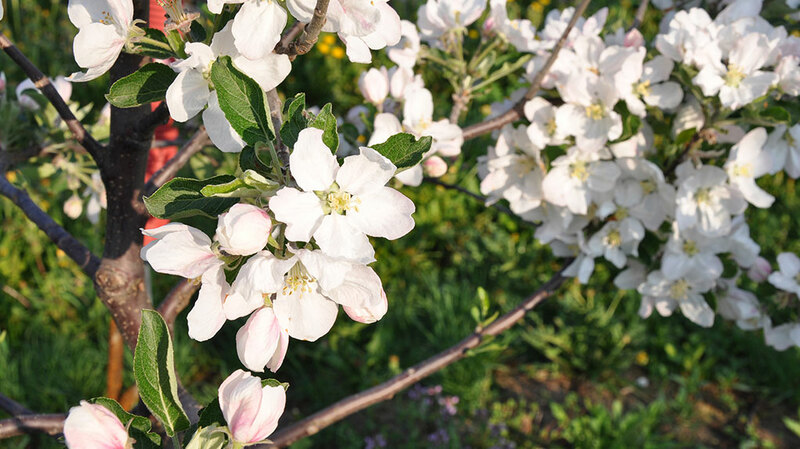 The mother tree was discovered in Algund (near Merano, South Tyrol, Italy) because of evident better overcolour compared to the mother variety. 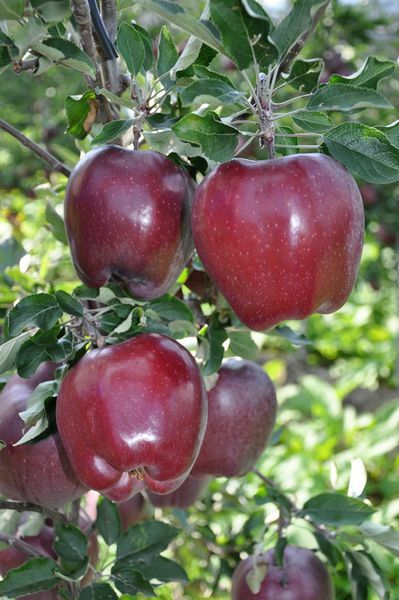 KING® ROAT Red Delicious* is a fully blush strain with intense bright dark red overcolour. 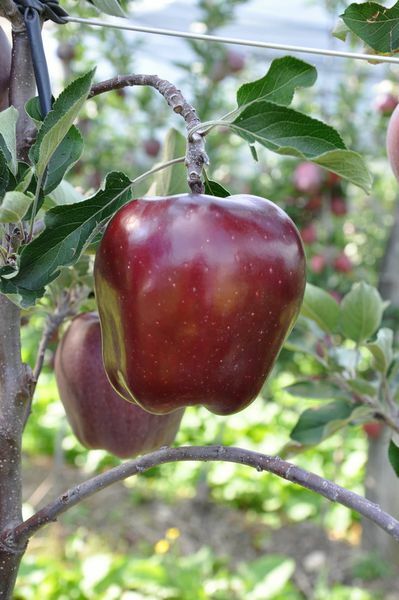 Fruits start colouring weeks earlier compared to other strains. 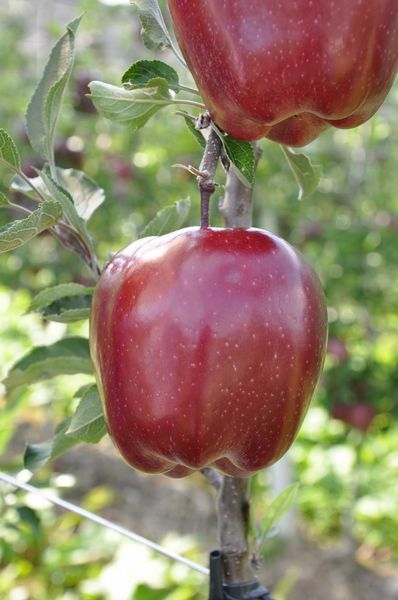 Fruit shape is naturally long and symmetric, which results in an elegant, friendly aspect. 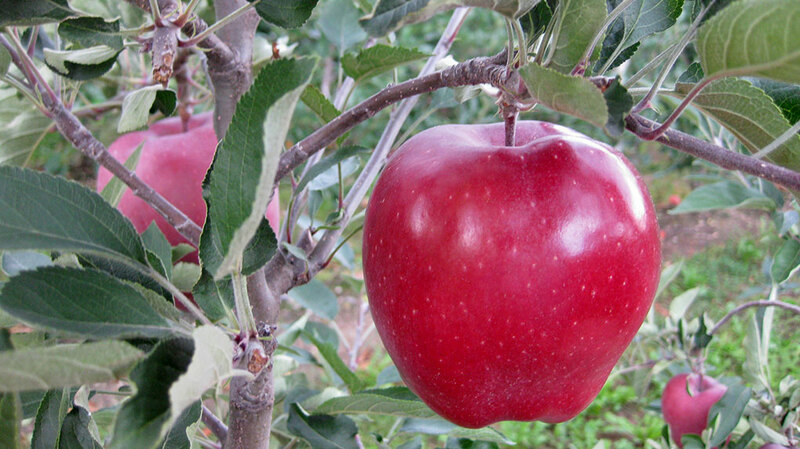 Taste of KING® ROAT Red Delicious* is appealing and typical for Stark. 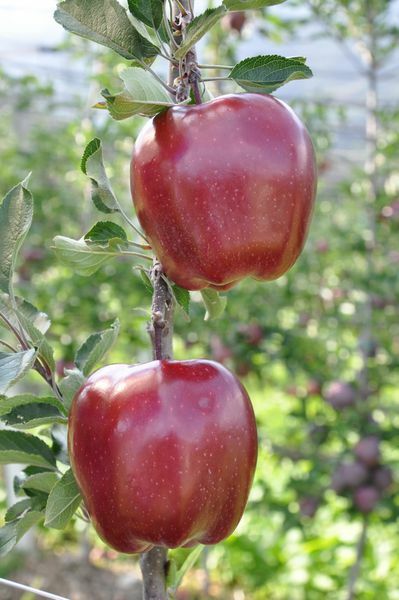 The vigour of KING® ROAT Red Delicious* trees is of semi-spur type, comparable to growth of Early Red One® Erovan. 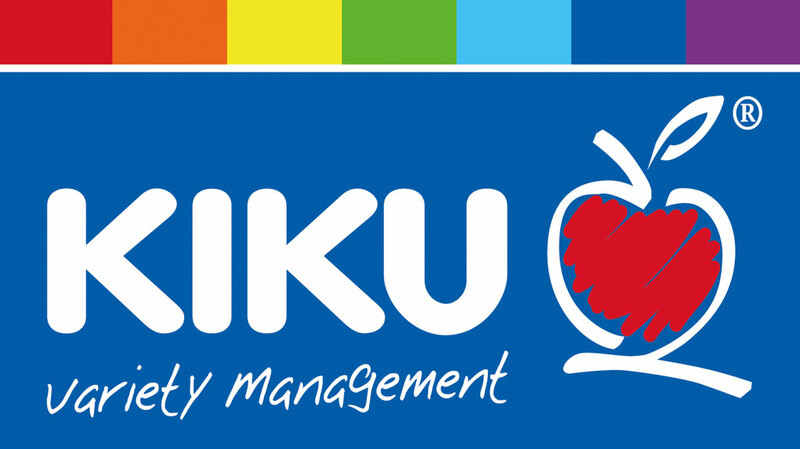 KIKU company is the holder of all rights of this new Red Delicious. 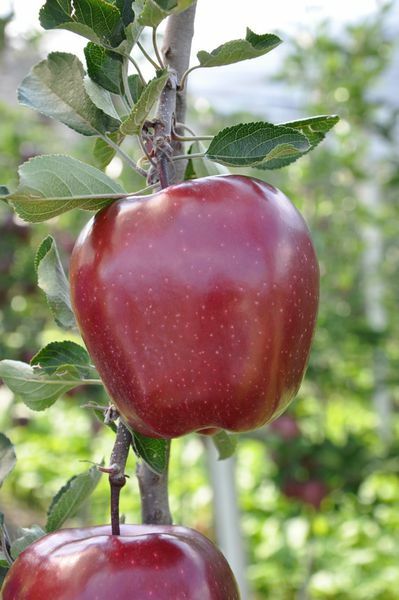 KING® ROAT Red Delicious* trees are planted in our testing blocks in Girlan (South Tyrol), as well as in blocks of selected partners and research stations in Europe. 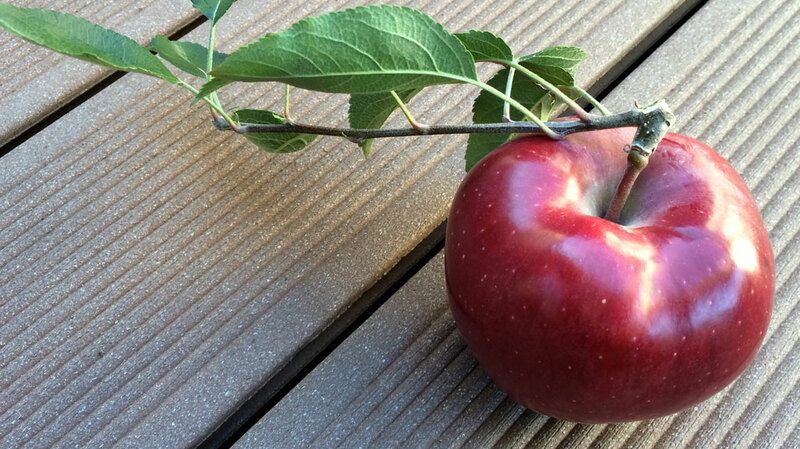 KING® ROAT Red Delicious* applications for PBR rights are running.